SIHR has been contacted by people trying to identify the teams with which each of the players appear. 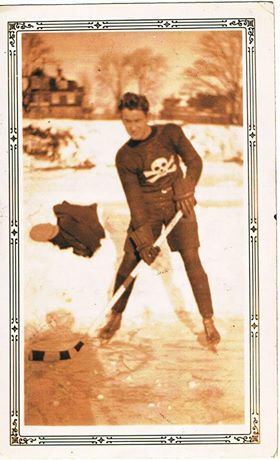 The first is of Neil "Felix" Ferguson pictured with a team from Sydney, Nova Scotia, in the 1930s. The all black uniform features a large skull and crossbones on the chest. The next is of Elphege Belanger of Hull, Quebec. The photo is believed to be from the 1930s or 1940s, but it isn't known if the team was from Hull. 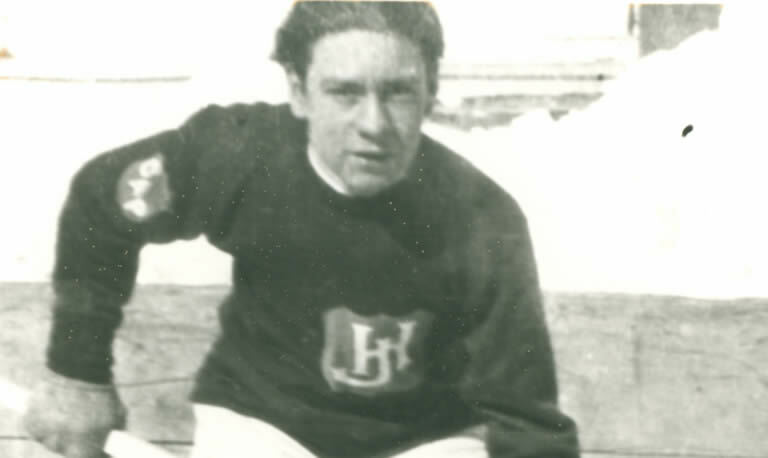 The "HJ" crest on the chest certainly suggests a team name beginning with Hull. The shoulder patch appears to have the letters "CAP" or "GAP". If you can provide any information, please contact James at james.milks@sihr.ca.